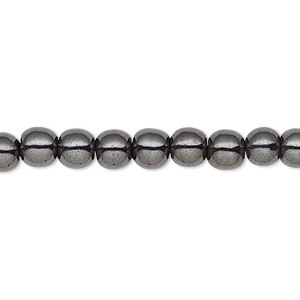 Bead, Hemalyke (man-made), magnetic, dark silver, 6mm round. Sold per 16-inch strand. 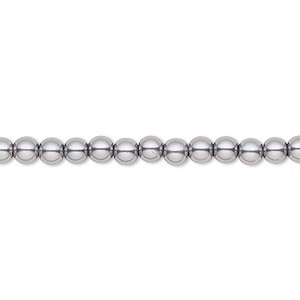 Hemalyke beads are lightly magnetized. Best used with high-gauge Accu-Flex® beading wire to support the weight and drape of the beads. When layered or used in multi-strand designs, the beads attract each other to keep the strands close together. Colors, shapes and sizes may vary in each lot. 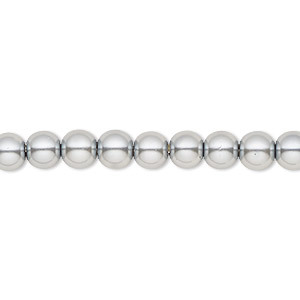 Bead, Hemalyke (man-made), pearlescent dark silver, 6mm round. Sold per 15-1/2" to 16" strand. 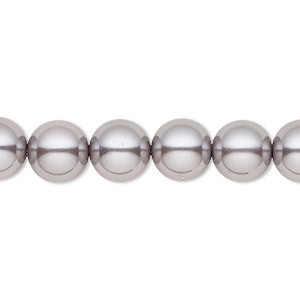 Bead, Hemalyke (man-made), pearlescent dark silver, 10mm round. Sold per 15-1/2" to 16" strand. 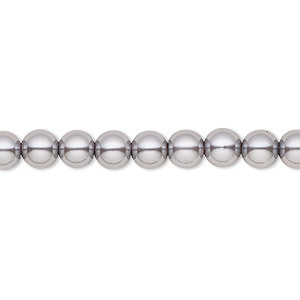 Bead, Hemalyke (man-made), pearlescent dark silver, 4mm round. Sold per 15-1/2" to 16" strand. 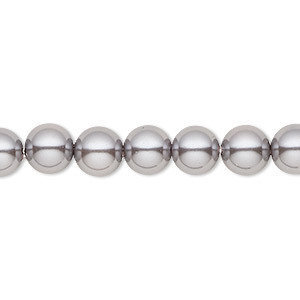 Bead, Hemalyke (man-made), pearlescent dark silver, 8mm round. Sold per 15-1/2" to 16" strand. 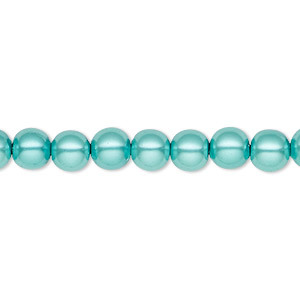 Bead, Hemalyke (man-made), magnetic, light teal blue, 6mm round. Sold per 15-1/2" to 16" strand. 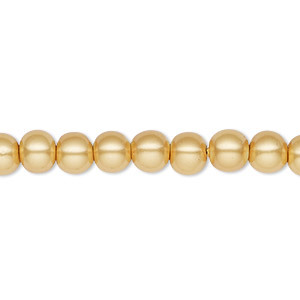 Bead, Hemalyke (man-made), magnetic, gold, 6mm round. Sold per 15-1/2" to 16" strand. 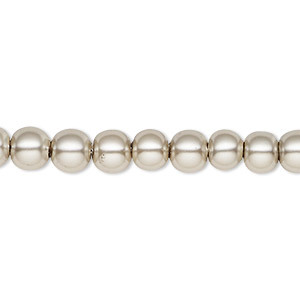 Bead, Hemalyke (man-made), pearlescent silver, 6mm round. Sold per 15-1/2" to 16" strand. Bead, Hemalyke (man-made), 6mm round. Sold per 15-1/2" to 16" strand. 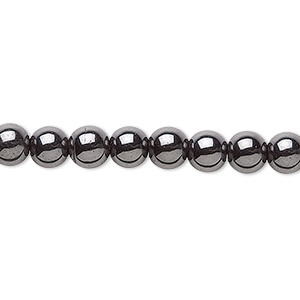 Bead, Hemalyke (man-made), magnetic, black, 6mm round. Sold per 15-1/2" to 16" strand. 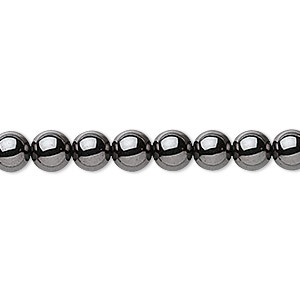 Bead, Hemalyke (man-made), magnetic, 6mm round. Sold per 15-1/2" to 16" strand.